There’s a theory that offices are uncomfortable to increase productivity and decrease fatigue. It might be true, because every office I’ve worked in has been too cold. Even in the summer, the air conditioning creates a cubicle tundra. Furthermore, professional dress codes make staying warm at work an even bigger challenge. Staying warm while maintaining professionalism is complicated. Some offices are more lenient than others so use your best judgment for these methods. For convenience they’ve been ordered in level of discreetness. This idea is for people who work in strict dress code office environments. I typically wear a camisole underneath my shirts, but sometimes that’s not enough. Instead, try wearing cotton long sleeves underneath. If your legs feel cold, a nice pair of leggings underneath your dress pants or skirt will work as well. Make sure you wear thin shirts and leggings or else it might look bulky and unnatural. Wrapping your fingers around a cup of coffee or tea can really warm them up. If you don’t drink coffee or tea, even boiled water will work. (That’s what I do when coffee and tea aren’t free.) The beverage usually cools within 30 minutes so you might find yourself needing a lot of refills. Also, you might find yourself less productive because your hands are on your mug and not the keyboard. An easy way of keeping warm at your cubicle is leaving a “desk scarf” at your desk. Just wrap it around when you’re sitting down and you’ll feel a lot warmer. The disadvantage of this method is that you don’t look very professional at your desk. Also if you need to walk around, I feel a bit self conscious walking around with a blanket. Same principle as the wrap, except warmer and less discreet. If your office is stricter on dress code, try to avoid logos or flashy colours. Try to go for more neutral tones. Cold fingers can really slow down your typing speed and reduce productivity. If you can, try wearing gloves. For more dexterity, try finger-less gloves. Just a warning, this method might make you look like a hacker/spy. 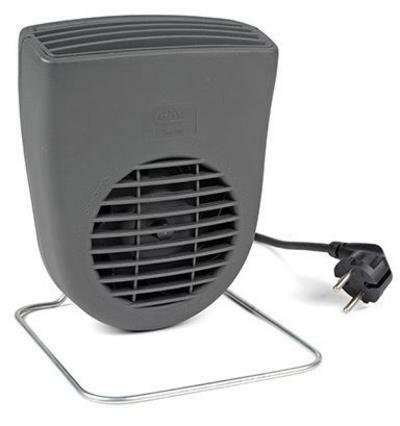 Portable space heaters are great for heating up your cubicle. However make sure your colleagues are okay with it as it can be noisy. Space heaters also causes dry skin, so have your hand lotion ready. If you feel like freezing. Unplug interior heater from your car and bring it in and plug it in. They are not the quietest tools to do the job, but they are so often near by.